Are infrared sauna sessions an option for your emphysema treatment? Emphysema is a progressive lung disease that limits the amount of oxygen and carbon dioxide transfer in the lungs. It is also one of two main types of chronic obstructive pulmonary disease (COPD). The tissues needed for the proper support of healthy, functioning lungs is, over time, destroyed. Of course, if you’re suffering with emphysema or COPD, you already know much of this. If you have been dealing with this, battling with it, struggling with it, you already know how horrific it is and that, sadly, there is no cure. There are however, emphysema treatments that you can use to help relieve and alleviate the symptoms that come with having this form of COPD. The goal of emphysema treatment is to slow the progression of the disease and improve the quality of your life. It is also to try to prevent the disease from growing in intensity and taking control of your health and your life. 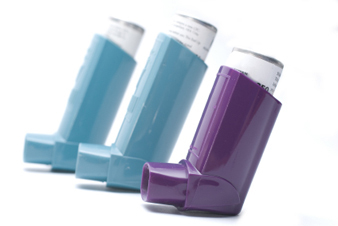 Typically, emphysema treatments include quitting smoking, using inhalers (bronchodilators) that allow the breathing tubes to dilate and allow air to flow more freely, prescription of inhaled corticosteroid and even supplemental oxygen. You may also have to avoid extremely cold air and remove the risk of introducing other pollutants or irritants into your life. For some people, a method of emphysema treatments has included the use of saunas. Of course, this would need to first be discussed with the doctor you are working with to help treat your emphysema, but should be something to consider, at the very least. Patients and emphysema sufferers sometimes question whether the hot, moist air of a sauna would be able to help alleviate the shortness of breath. Others ponder whether the dry-heat saunas would be a better option. Infrared saunas could potentially be your friend if you suffer from emphysema or COPD. As much as I want to help you with your struggle to alleviate the symptoms associated with emphysema, I am, obviously, not qualified to decide whether a sauna of any sort would be what works for you. I can, however, refer you to a real life story and example where the use of an infrared sauna has worked very well. In this example, Dan had suffered serious lung symptoms either resembling or diagnosed as emphysema or chronic obstructive pulmonary disease. For him, the infrared sauna seems to have eliminated his symptoms. While this is not something I can say is a typical result of using an infrared sauna for emphysema treatment or alleviation, it has helped Dan as well as others. If not, it wouldn’t even be a viable option that comes up for discussion in many cases. The thing is, infrared saunas help with other types of conditions and health issues. Infrared saunas can help the body naturally detoxify and has healing benefits that can help rejuvenate your body in other ways. By improving overall health, you can also improve your body’s ability to fight disease. The main things an infrared sauna can do for you, or anyone using one, is to help your purge toxins from your body by inducing and increasing sweat. This is the best natural method to cleanse your body from the inside. Infrared saunas are also known to raise the heart rate, as well as increase blood circulations and metabolism. Sure, that is great for shedding weight and burning up to 700 calories per session, but it means more for your health than your waistline. The bottom line is that infrared saunas can help improve your overall health, increase your energy and, therefore, increase and improve your chances for fighting off disease and illness. This can be beneficial as part of your emphysema treatment since it is important for you to maintain your optimum health level to prevent the emphysema or COPD from worsening. As I said before, I cannot advise you on which type of sauna may be good for you, or if you should consider one at all. I can hope you will do a little research, gather some information, maybe even ask around at your COPD or emphysema support groups and present the idea to your doctor. The best thing you can do as an emphysema sufferer is be aware of your options and always seeking new methods or possibilities that could help alleviate the suffering you experience from the symptoms of the disease. If your doctor gives the go-ahead and feels that including infrared sauna use as part of your emphysema treatment is a possibility, you have nothing to lose. You deserve some time to relax in a sauna and, as I mentioned before, there are plenty of other detoxification and health benefits to gain from using a sauna that just may help your overall health. Also read Dan's story on emphysema treatment.